Instilling a cultivated taste for all authentically creative furniture! From ancient Greece and Rome, through medieval times, and up to the present day, domestic furniture has been an integral part of civilization, and its study reveals much about our history and culture. 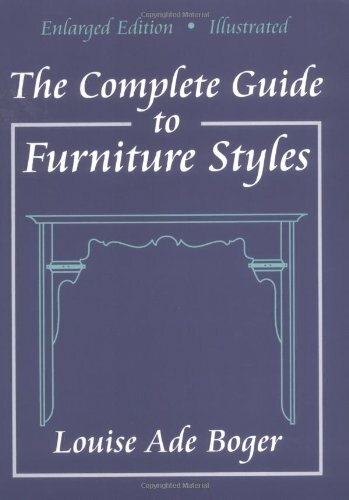 This classic guide to furniture styles discusses the development of domestic furniture in Europe, America, and China, detailing the great periods of French and English furniture from the Renaissance through the Empire and Regency periods. Furniture from every age is represented in over 600 photographs of pieces from major collections throughout the world. The book's highly readable style and extensive coverage make it a valuable resource for interior designers. If you have any questions about this product by Waveland Pr Inc, contact us by completing and submitting the form below. If you are looking for a specif part number, please include it with your message.